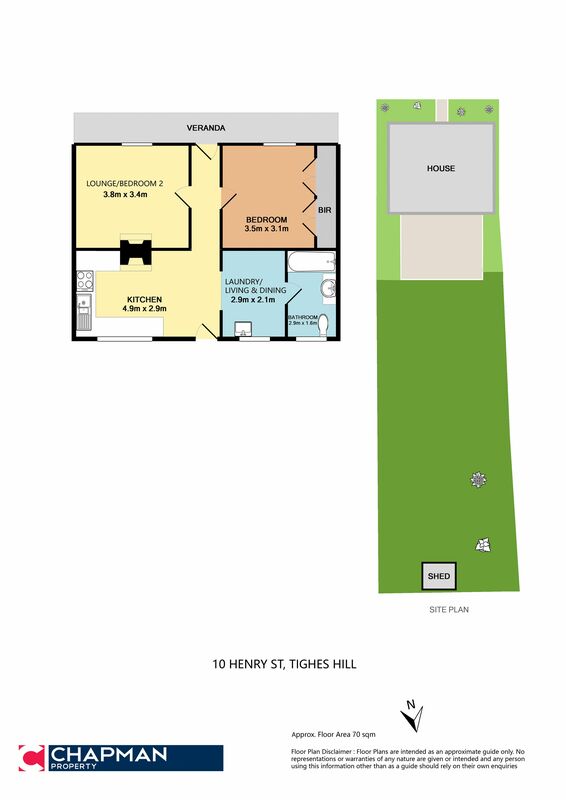 Add your personal touch to this charming miner’s cottage that is ideally set on a large Tighes Hill block that offers a wide range of expansion possibilities (STCA). There’s plenty of space to extend (STCA) to create a one-of-a-kind family home, or knock down the existing cottage and build your modern dream home . This high-potential property is ideally set easy walking distance to bus stops, Tighes Hill Public School, TAFE NSW Newcastle, and Islington Park. It’s also just moments to thriving Beaumont Street cafes and restaurants, and less than 15 minutes to Newcastle CBD, harbour and beaches. High ceilings, polished timber floors, original windows and two ornamental fireplaces provide an elegant foundation for a modern renovation of this character cottage. Enter via the charming covered front verandah and into a central hallway with both good-sized bedrooms located at the front of the home. There is a wall-to-wall built-in robe to the master bedroom, an ornamental open fireplace to the second bedroom, and polished timber floors to both. The entry hall flows into the main living space with adjoining kitchen at rear. Modern floating flooring joins a second ornamental fireplace, and the kitchen features gas cooking and bench seating beneath the original windows. Laundry facilities are located off the main living space, and the separate bathroom has been updated with modern tiling and a shower over bath. The main living area opens to the paved rear patio and huge fenced backyard that offers endless opportunities to add significant value to this prime Tighes Hill property. Currently tenanted for $325.00 per week. Call Colin Chapman at Chapman Property on 0403 656 940 to organise your inspection today.